After months of hard work, a mother and her children finally have a home to call their own. ALBEMARLE COUNTY, Va. (WVIR) - After months of hard work, a mother and her children finally have a home to call their own. 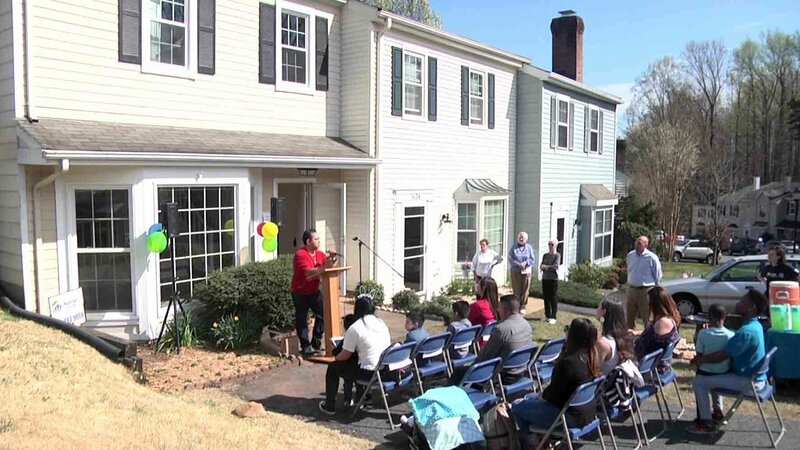 On Saturday, Habitat for Humanity of Greater Charlottesville formally dedicated a house to Norma Blanco-Leiva. Norma worked with habitat crews for 6 months to completely refurbish a home so she and her children could have better-living conditions. “We very much see it as part of our mission to go into neighborhoods that have been declining in terms of home ownership and re-insert and re-invest in low-income affordable home ownership so that folks like Norma and her family can be the new pillars of a continually strong neighborhood,” said Dan Rosensweig, president of Habitat for Humanity of Greater Charlottesville. The home is located in the Townhood subdivision of Albemarle County. Habitat bought and renovated the home as part of its anti-gentrification efforts.